When I was a kid, I wanted to be nothing other than a Marine Biologist when I grew up. I loved marine mammals, and could tell you every type of whale or dolphin in existence. Dolphin Quest by Microgaming is an online pokie that took me back to this time in my life. The game is based on the wide diversity of undersea life, but focuses generally on the bottlenose dolphin. Is the game any fun? Read on to find out. Graphically, the Dolphin Quest pokie is a very nice looking game. To be honest, the game reminded me a bit of the Sega Genesis game Ecco the Dolphin, but that is a good thing. The game has a wide array of undersea life, and there are a variety of great pokie symbols. I love the way that the crabs, urchins, shells, fish, and groups of dolphins look here, and feel that they perfectly fit into the pokie. I also like the animations here, as there is a nice bit of movement when there is a win triggered. I scored with the dolphin symbol so often that I grew accustomed to seeing the dolphins rolling about. Dolphin Quest is a looker for sure, and I am a big fan as to the overall presentation here. 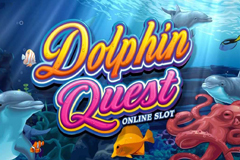 Gameplay wise, Dolphin Quest is a bit of a simple online pokie that is still fun to play. There are 50 paylines here, so you will be hitting a lot of wins on the reels, but big wins will be few and far between most likely. 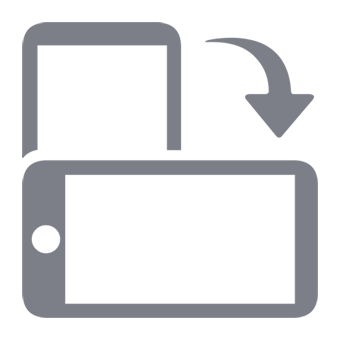 The lone feature in this game is the Pick’em Bonus Round, which allows you to select symbols to create winning combinations. I hit this round surprisingly often, and got a thrill each time that it came up. I ended up spending about a half hour playing Dolphin Quest and ended up finishing with a win of $53. I can’t say for sure that you will have similar results, but the game is a lot of fun and I think you will enjoy it. Overall, I am a big fan of Dolphin Quest. I liked the way that the game looked and played, and had a lot of fun with this 50 line pokie, despite the lone bonus feature. If you like games that look good and play better, give Dolphin Quest a shot.